Dedication’s what you need … to be a RECORD BREAKER!!! Yes, we did it! We SMASHED the world speed record for 2 people to burst 100 balloons. The record was previously held by Dermot O’Leary and Alan Conely who got the record at about 25 seconds on a live TV show (The Paul O’Grady show) in 2006. Previous holders of this record include Vernon Kaye – TV presenter. 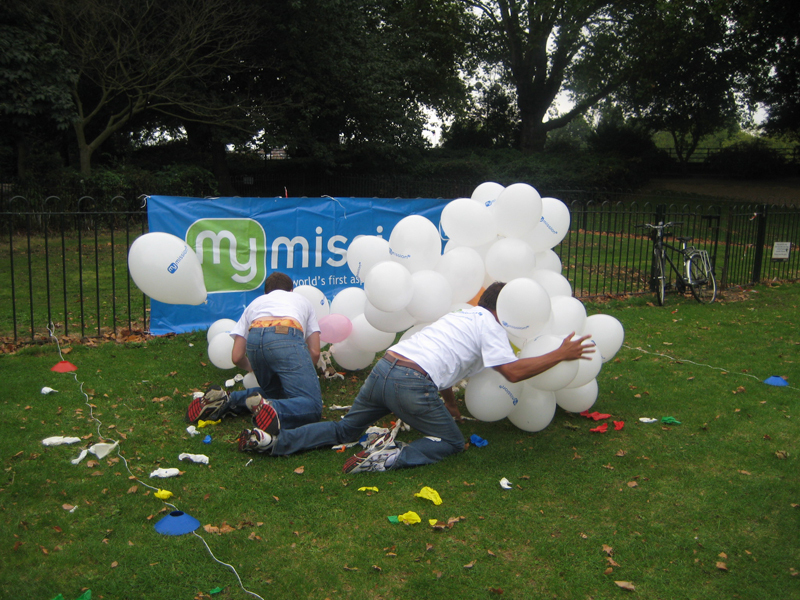 But David Ashford (CEO) and Will Ferrand (Mission Controller) – representing mymission2 – totally smashed the record by bursting all 100 balloons in just 12.25 seconds! We’re waiting for official confirmation from Guinness World Records before we break open the champagne though. We’re delighted to welcome Chris to mission control. Chris, who is 26 and very tall, is a drama graduate and enjoys scriptwriting – so he has the perfect skills to be helping missioners to realize their dreams! There’s no doubt that we’ll be forcing Chris to take charge when we eventually host a “comedy night” as a mid-week mission here in London … yep, you’ve guessed it, Chris has also been a standup comedian! Look out for him at mymission2. Remember, we’re awarding prizes every month now! Click here for more info. You may see the site bouncing up and down a bit this morning – we’re performing a major database upgrade, and so you may see a little downtime. The 3rd Fire – Weird, but wonderful! 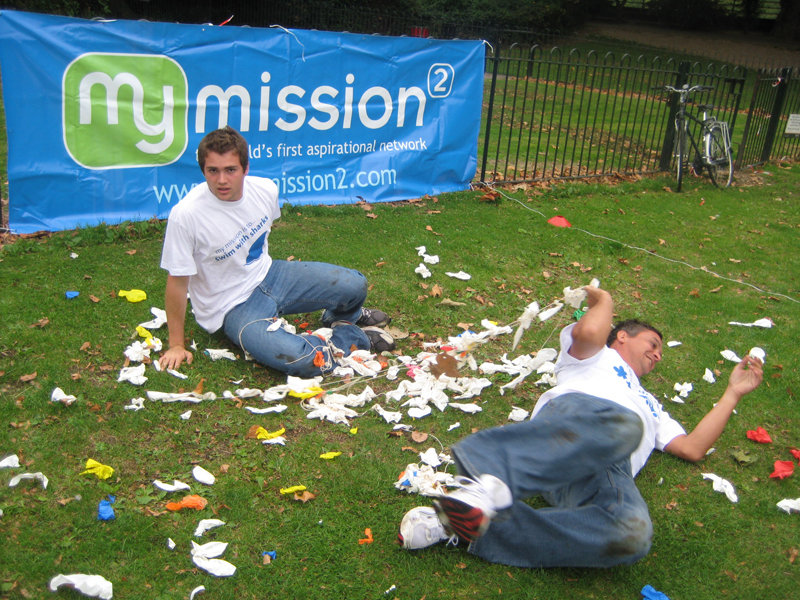 You are currently browsing the mymission2 blog blog archives for August, 2008.